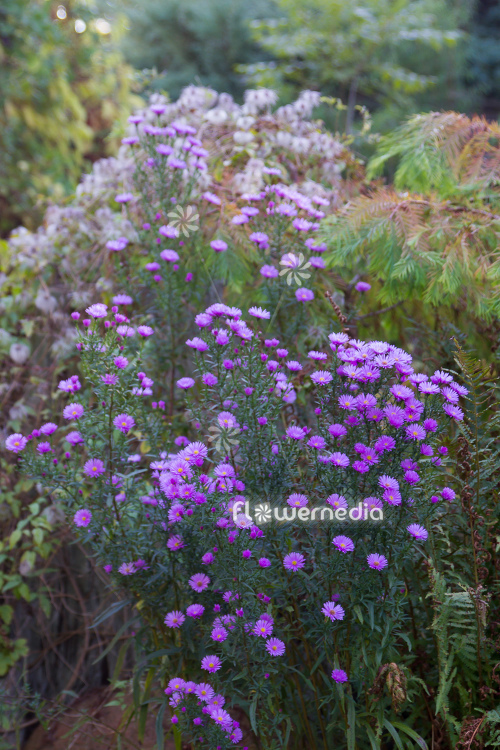 East Indies aster with the scientific name: Aster tongolensis, a species of the genus Aster (Aster) in the family Asteraceae. 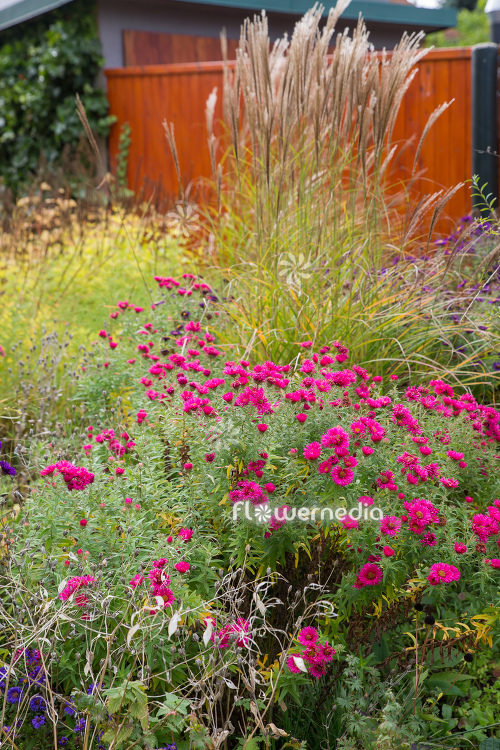 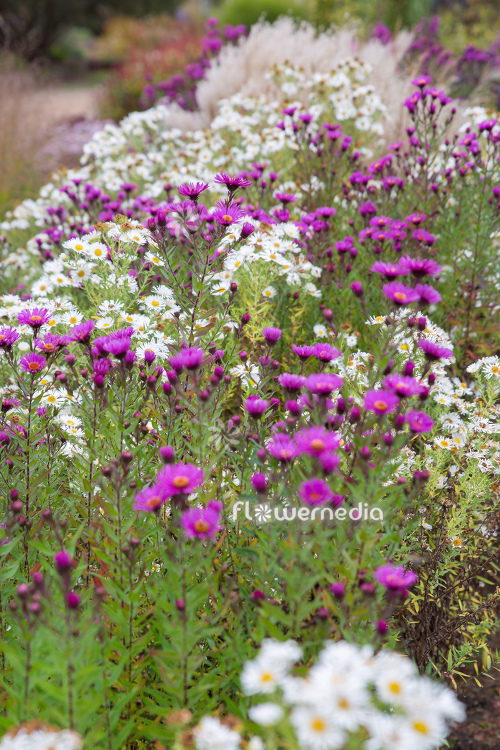 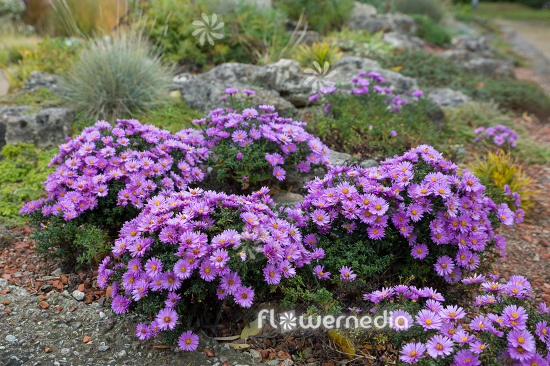 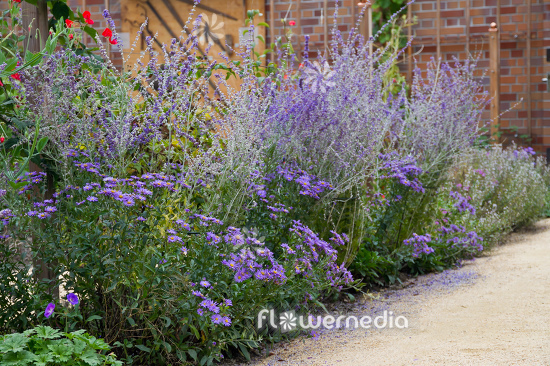 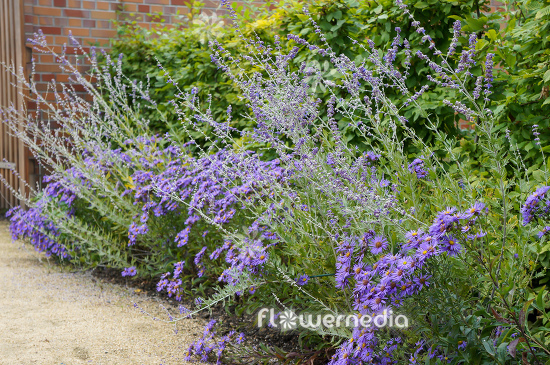 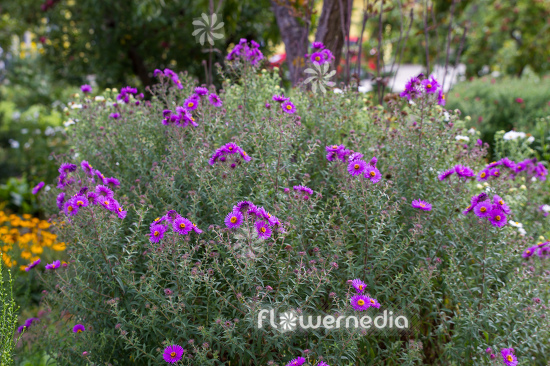 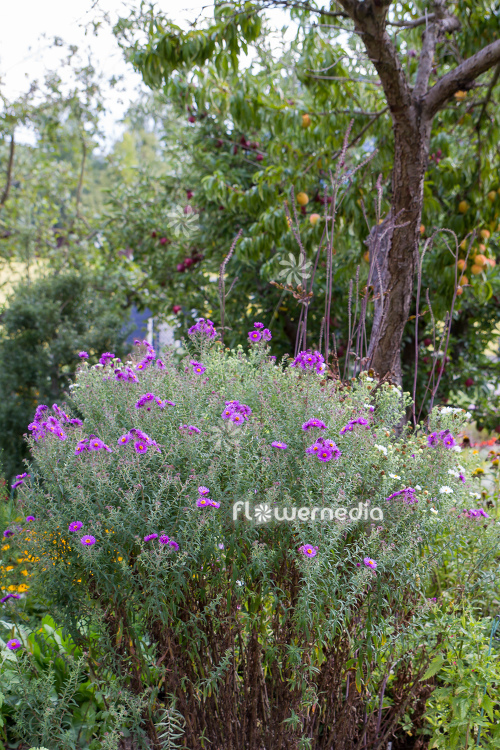 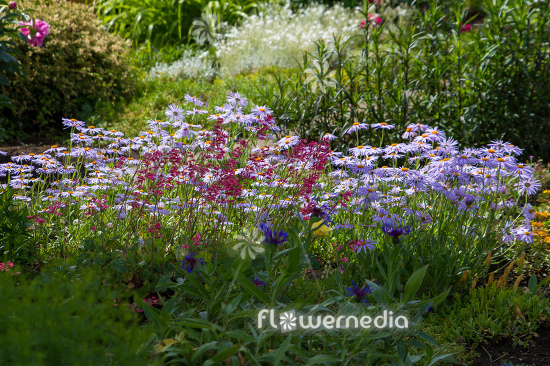 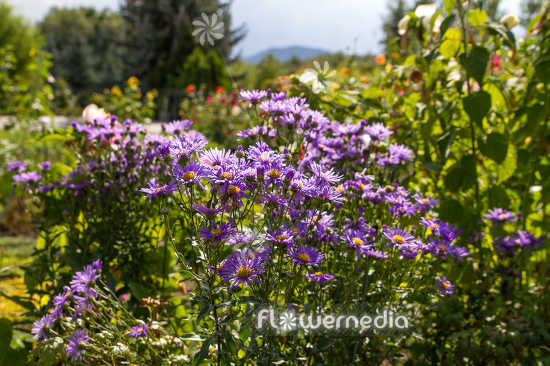 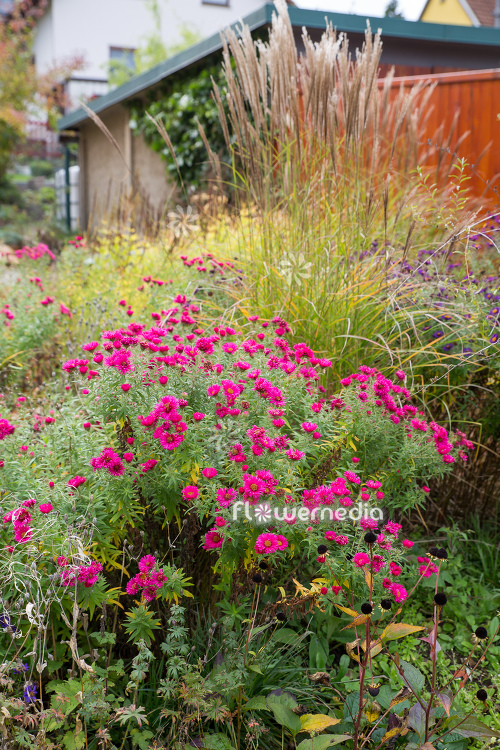 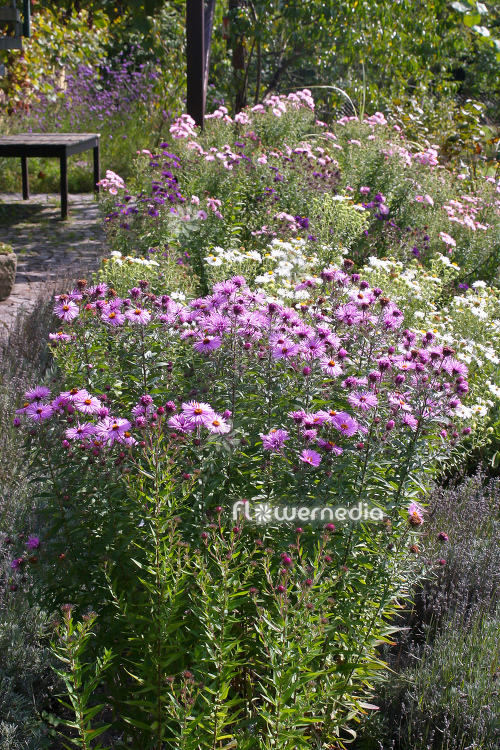 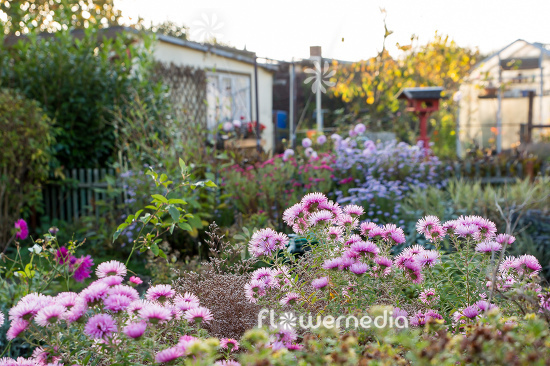 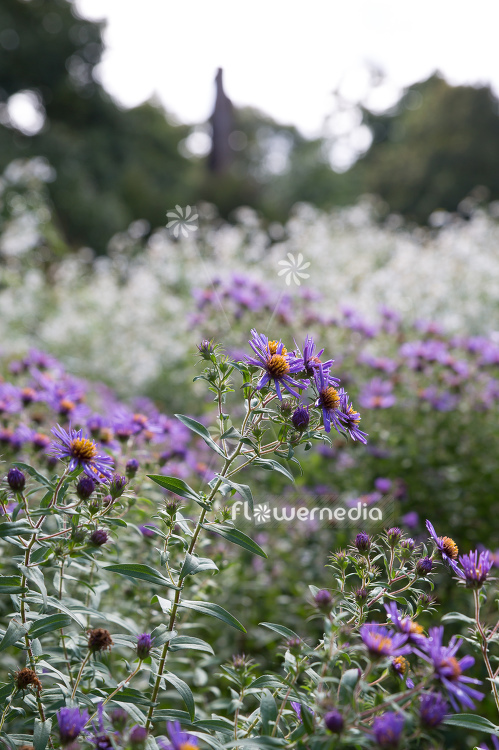 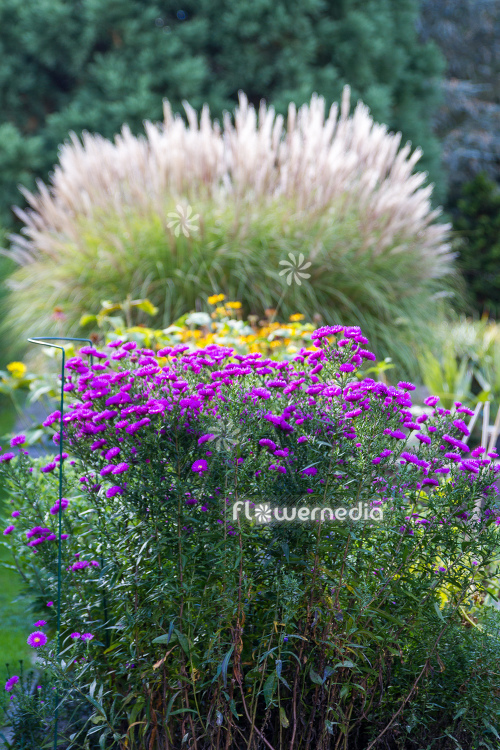 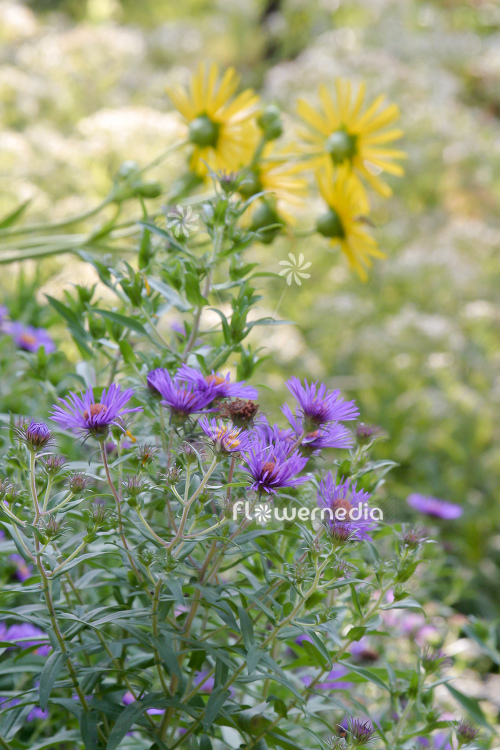 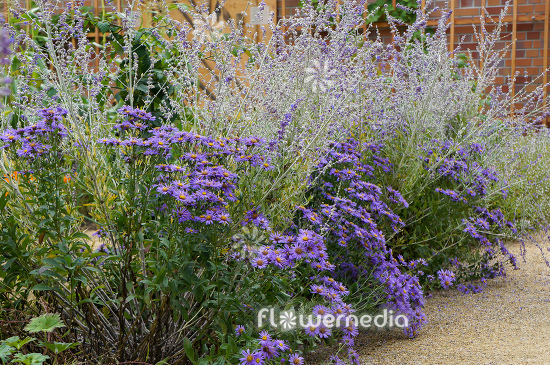 The photo shows a variety (selection, cultivar or hybrid) of the species: Aster novi-belgii. 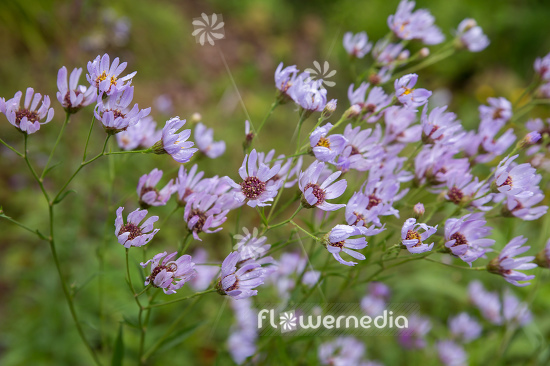 New York aster with the scientific name: Aster novi-belgii, a species of the genus Aster (Aster) in the family Asteraceae. 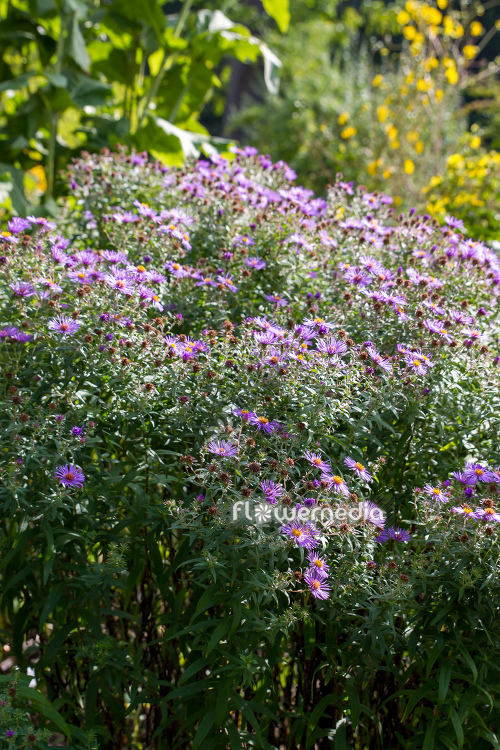 New England aster with the scientific name: Aster novae-angliae 'Andenken an Alma Pötschke', a variety of the genus Aster (Aster) in the family Asteraceae. 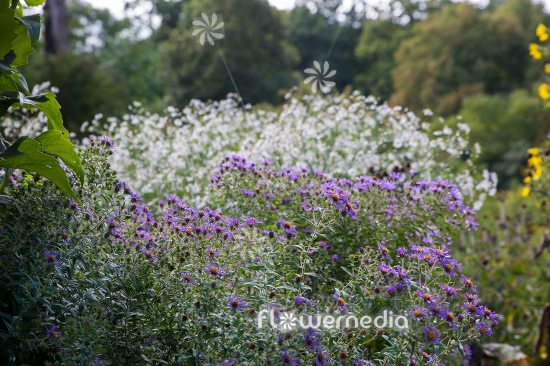 The photo shows a variety (selection, cultivar or hybrid) of the species: Aster novae-angliae. 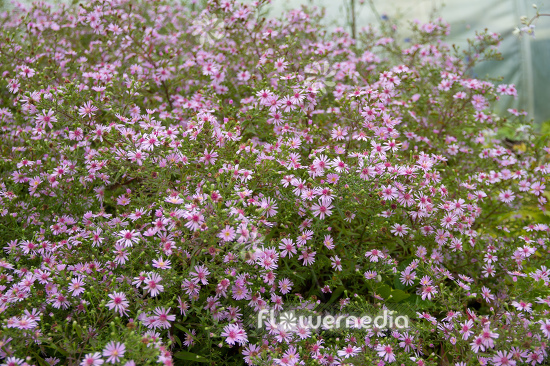 Heath aster with the scientific name: Aster ericoides 'Pink Star', a variety of the genus Aster (Aster) in the family Asteraceae. 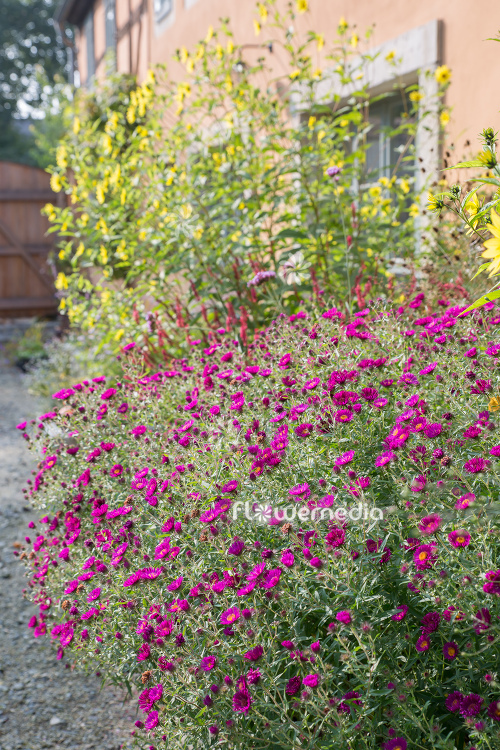 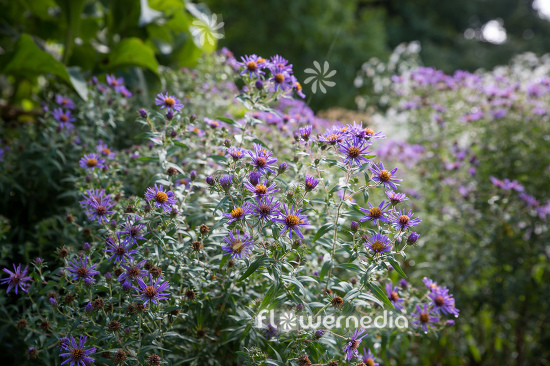 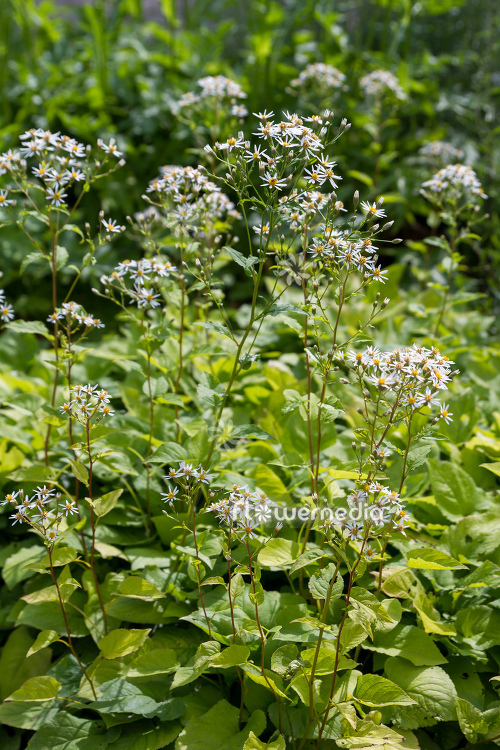 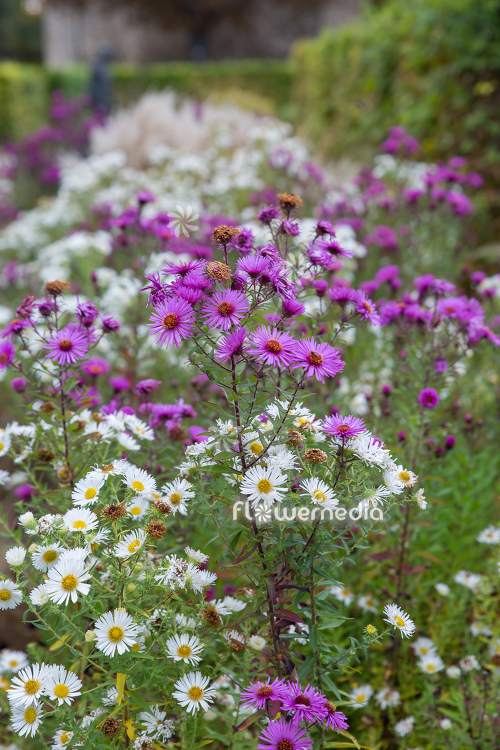 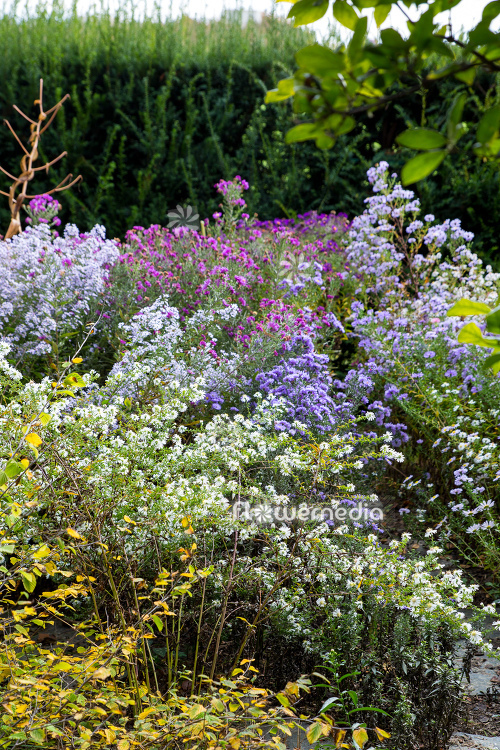 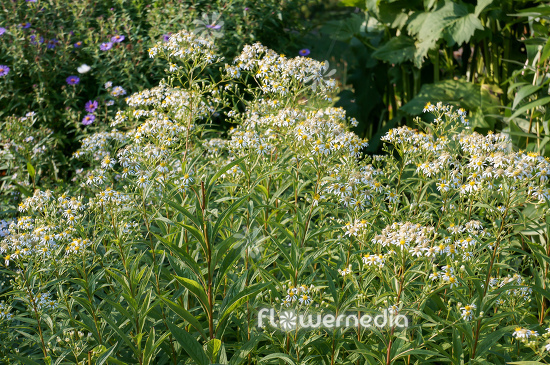 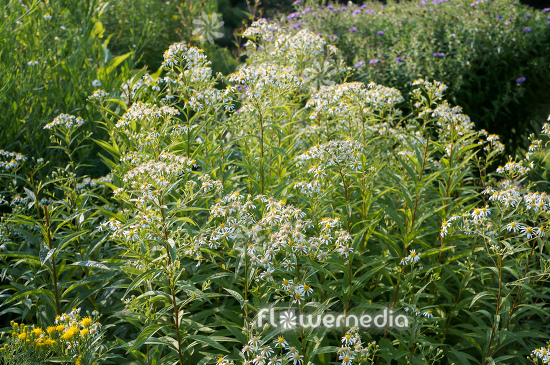 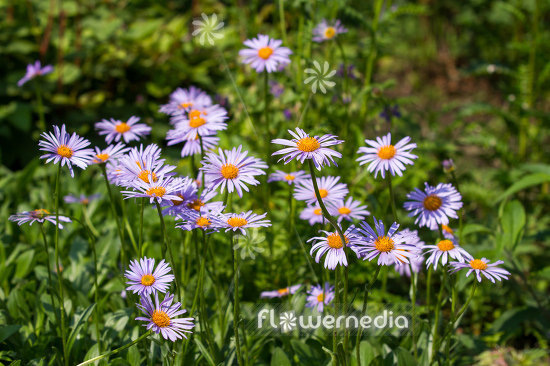 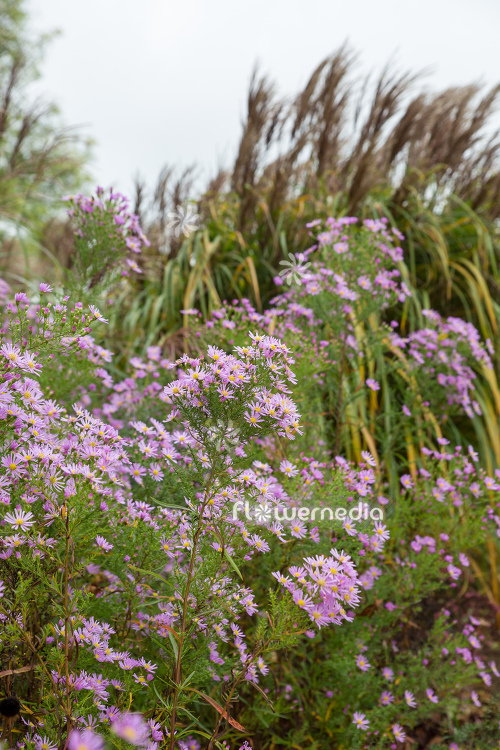 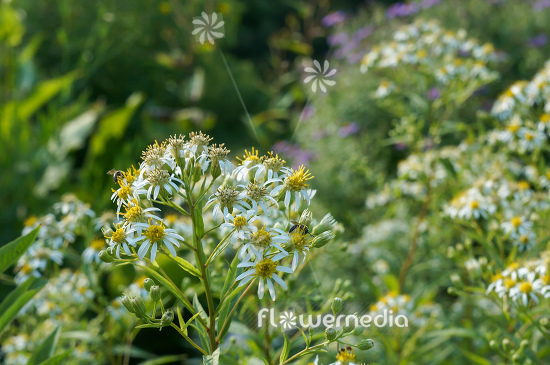 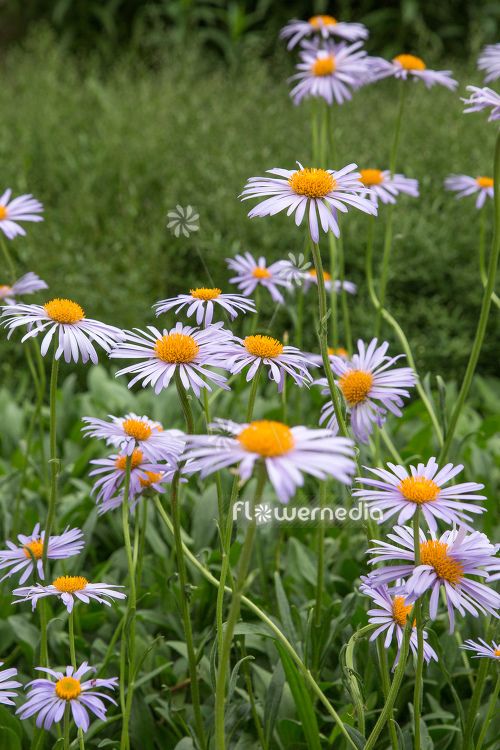 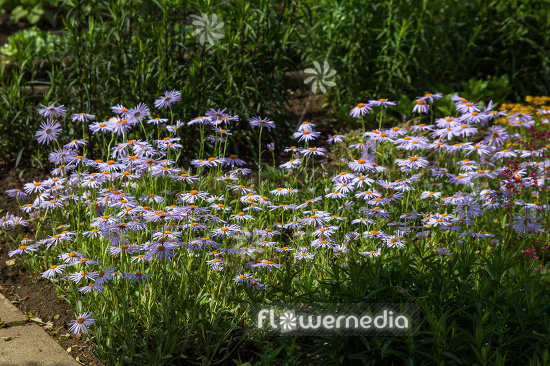 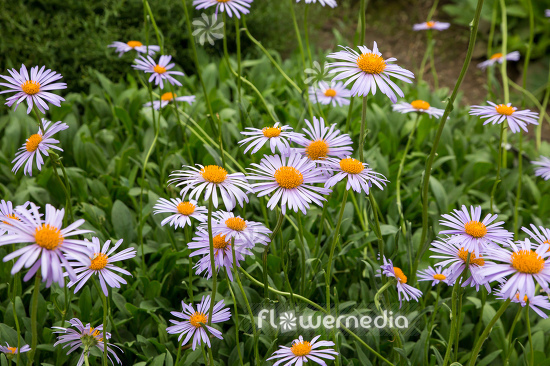 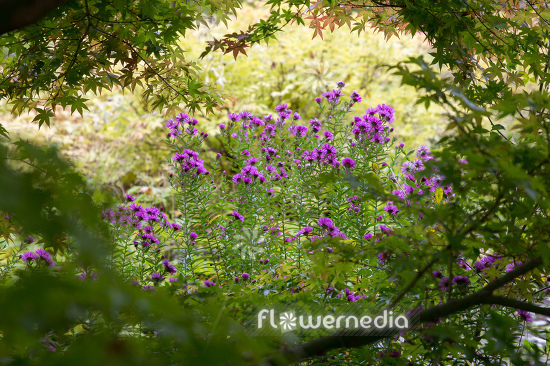 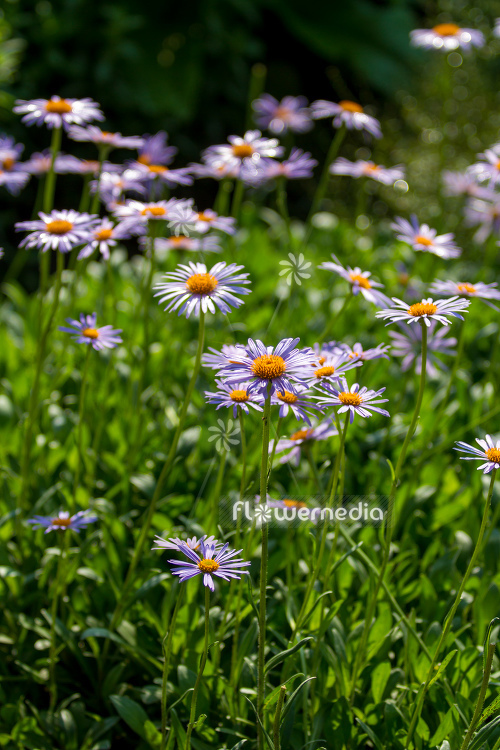 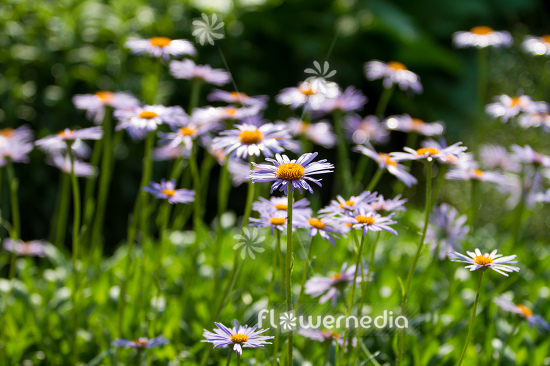 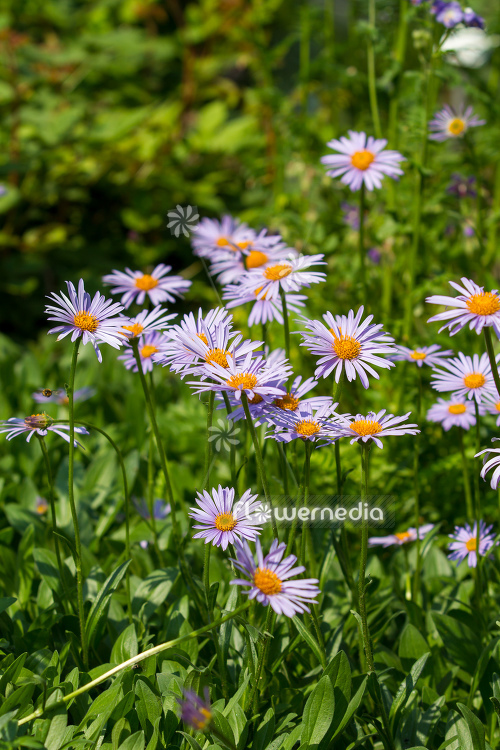 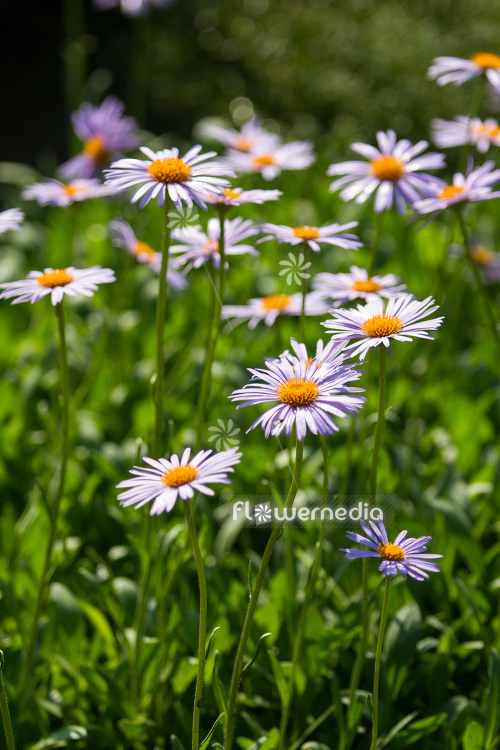 The photo shows a variety (selection, cultivar or hybrid) of the species: Aster dumosus. 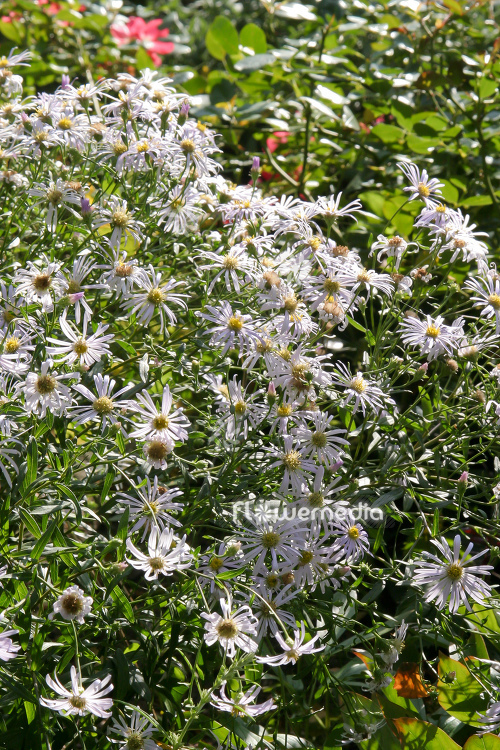 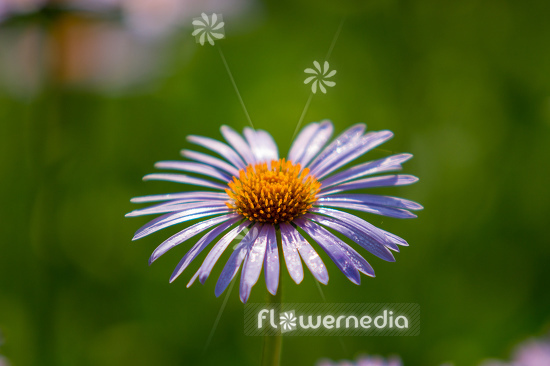 Bushy aster with the scientific name: Aster dumosus, a species of the genus Aster (Aster) in the family Asteraceae. 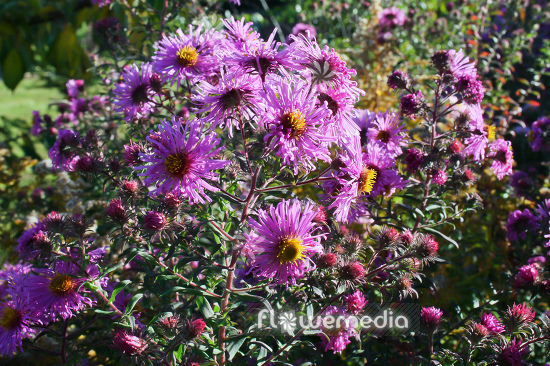 Italian aster with the scientific name: Aster amellus 'Veilchenkönigin', a variety of the genus Aster (Aster) in the family Asteraceae. 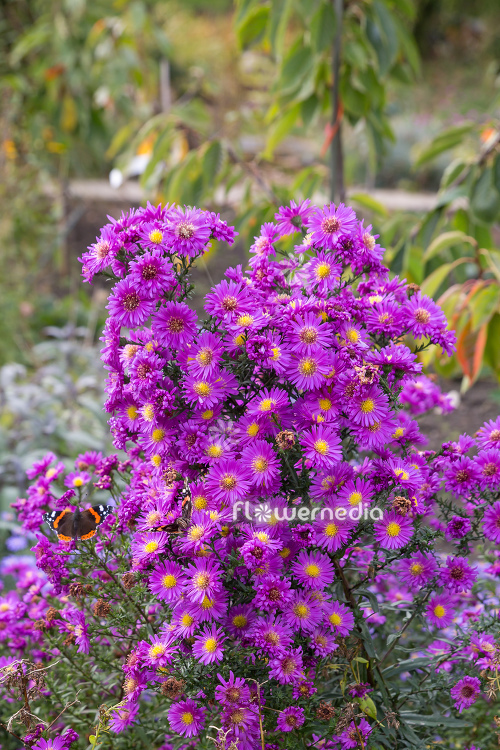 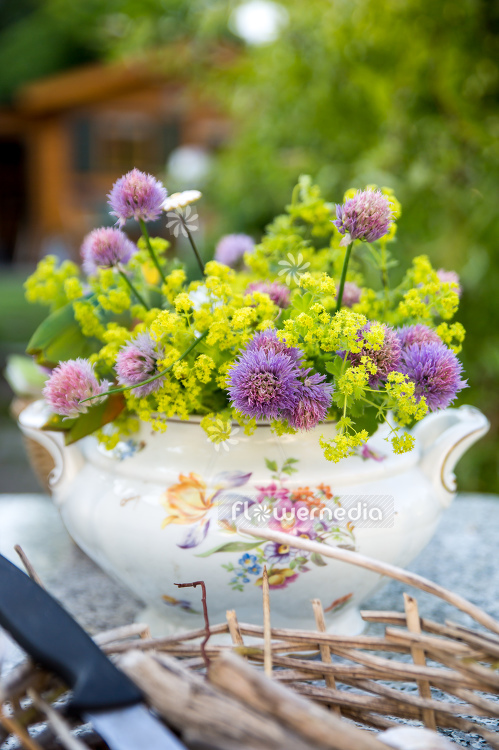 Italian aster with the scientific name: Aster amellus, a species of the genus Aster (Aster) in the family Asteraceae. 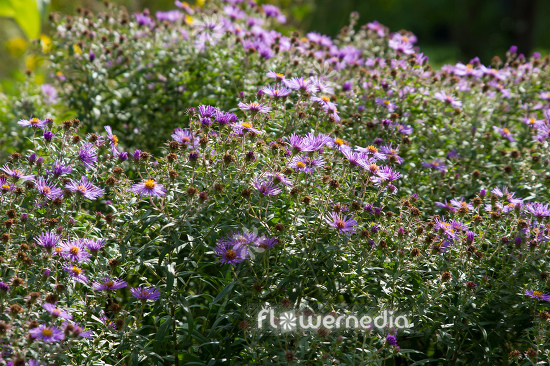 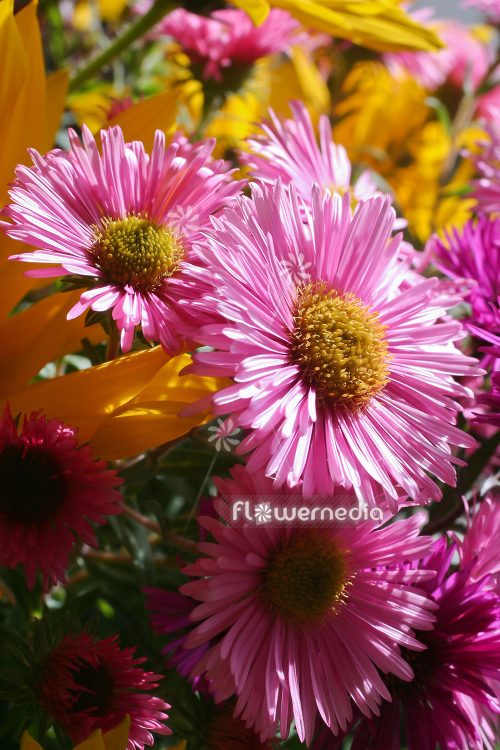 Frikart's aster with the scientific name: Aster x frikartii 'Wunder von Stäfa', a variety of the genus Aster (Aster) in the family Asteraceae. 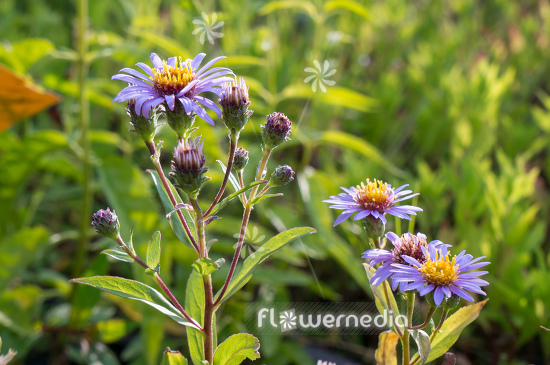 Tatarian aster with the scientific name: Aster tataricus, a species of the genus Aster (Aster) in the family Asteraceae. 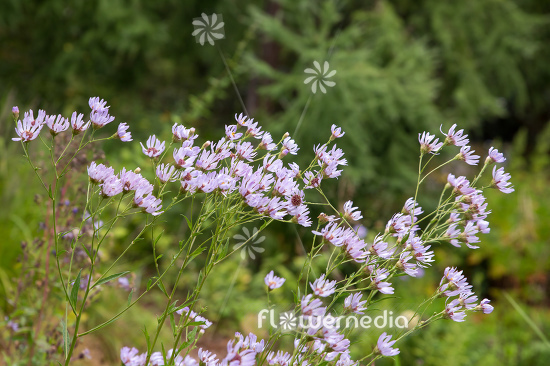 Siberian aster with the scientific name: Aster sibiricus, a species of the genus Aster (Aster) in the family Asteraceae. 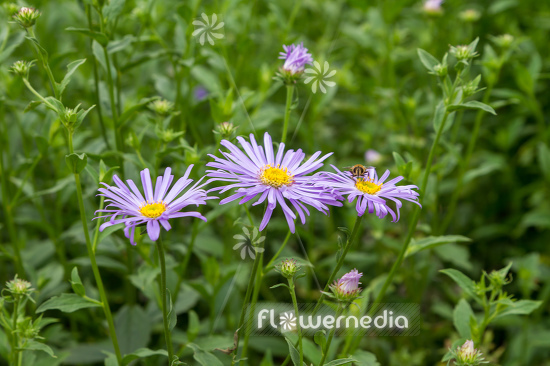 Schreber's aster with the scientific name: Aster schreberi, a species of the genus Aster (Aster) in the family Asteraceae. 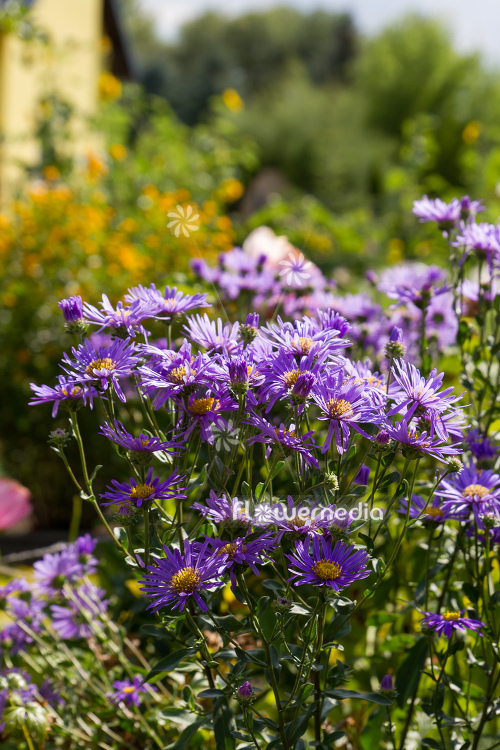 Pyrenean aster with the scientific name: Aster pyrenaeus 'Lutetia', a variety of the genus Aster (Aster) in the family Asteraceae. 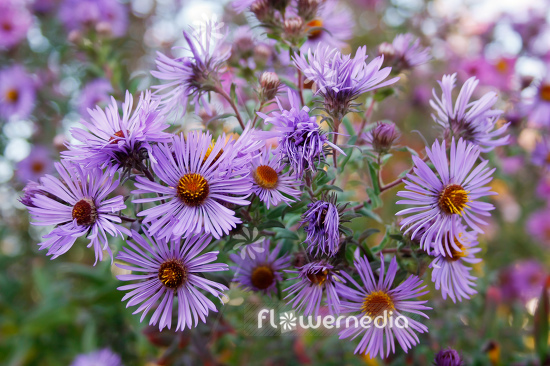 Aromatic aster with the scientific name: Aster oblongifolius 'October Skies', a variety of the genus Aster (Aster) in the family Asteraceae.